Let's cut to the chase. 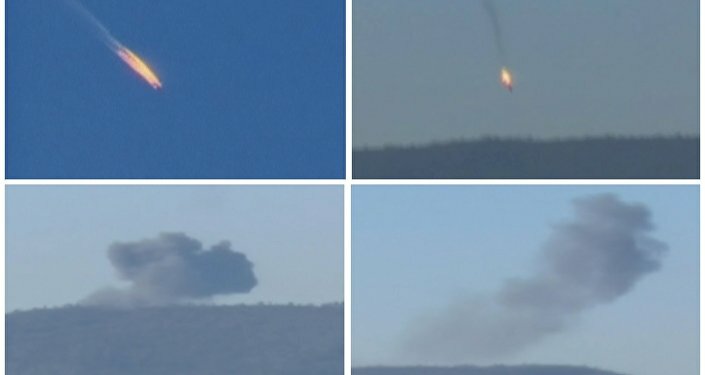 The notion that Turkey's downing of a Russian Su-24 by a made in USA F-16 was carried out without either a green light or at least pre-arranged "support" from Washington invites suspension of disbelief. Turkey is a mere vassal state, the eastern arm of NATO, which is the European arm of the Pentagon. The Pentagon already issued a denial — which, considering their spectacular record of strategic failures cannot be taken at face value. Plausibly, this might have been a power play by the neocon generals who run the Pentagon, allied with the neocon-infested Obama administration. The privileged scenario though is of a vassal Turkey led by Sultan Erdogan risking a suicide mission out of its own, current, desperation. Here's Erdogan's warped reasoning in a nutshell. The Paris tragedy was a huge setback. France started discussing close military collaboration not within NATO, but with Russia. Washington's unstated aim was always to get NATO inside Syria. By having Turkey/NATO — clumsily, inside Syrian territory — attacking Russia, and provoking a harsh Russian response, Erdogan thought he could seduce NATO into Syria, under the pretext (Article 5) of defending Turkey. As Bay-of-Pigs dangerous as this may be, it has nothing to do with WWIII — as apocalyptic purveyors are braying. It revolves around whether a state which supports/finances/weaponizes the Salafi-jihadi nebulae is allowed to destroy the Russian jets that are turning its profitable assets into ashes. President Putin nailed it; it was "a shot in the back". Because all evidence is pointing towards an ambush: the F-16s might have been actually waiting for the Su-24s. With Turkish TV cameras available for maximum global impact. Two Su-24s were getting ready to strike a bunch of "moderate rebels". 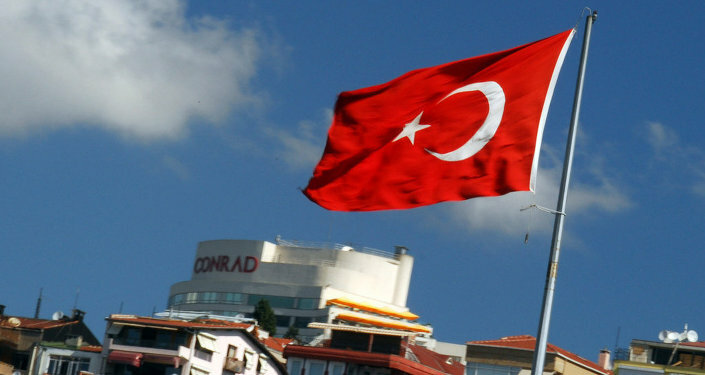 Ankara says they were Turkmen — which the Turks finance and weaponize. But there is just a small bunch of Turkmen in northern Syria. The Su-24s were actually after Chechens and Uzbeks — plus a few Uyghurs — smuggled in with fake Turkish passports (Chinese intel is also on it), all of these operating in tandem with a nasty bunch of Turkish Islamo-fascists. Most of these goons transit back and forth between the CIA-weaponized Free Syrian Army (FSA) and Jabhat al-Nusra. These were the goons who machine-gunned the Russian pilots as they parachuted down after the hit on the Su-24. The Su-24s posed absolutely no threat to Turkey. Turkish UN Ambassador Halit Cevik's letter to the Security Council is a joke; two Russian jets "warned 10 times in five minutes" to change direction, both flying "more than a mile" into Turkey for an interminable 17 seconds. The whole thing has already been amply debunked. Not to mention that Turkish — and NATO — planes "violate" the Syrian border all the time. Erdogan well knows how US neocons were livid with French President Francois Hollande after his "it's war" cry was followed by a drive to work together with Russia against ISIS/ISIL/Daesh. So the real target was not a Su-24, but the evolving possibility, after the Paris attacks, of a real coalition — the US, Britain and France on one side, the "4+1" (Russia, Syria, Iran, Iraq plus Hezbollah) on the other side — finally converging their interests into a unified fight against ISIS/ISIL/Daesh. Where would that leave Ankara, which for years has invested heavily in the Salafi-jihadi nebulae, from Jabhat al-Nusra to Ahrar al-Sham and myriad other outfits, culminating with aiding and abetting and even funding ISIS/ISIL/Daesh? Turkey, for all practical purposes, has been a handy, sprawling Salafi-jihadi Infrastructure and Logistics Center; it offers everything from porous borders enabling countless jihadi return tickets from Syria to Europe, facilitated by corrupt police, to a convenient crossroads for all kinds of smuggling and a hefty money laundering ops. So Ankara, with a missile, thought it might completely change the narrative. Hardly. Just follow the money. Even in the US and Europe the Turkish game is becoming increasingly transparent. A research paper at Columbia University details at least a fraction of the multiple instances of collusion between Turkey and ISIS/ISIL/Daesh. Bilal Erdogan, the Sultan's son, is a major profiteer of illegal trading of stolen Iraqi and Syrian oil. Imagine his terror after Putin revealed to G-20 leaders in Antalya — Turkish territory! — how Russian intel has identified most of the mobster maze of connections pointing directly to ISIS/ISIL/Daesh. Imagine mobster/Turkish commodity dealer sentiment at the prospect of losing their cut with the impossibility of buying Syrian stolen oil to the tune of $50 million a month. After all the Russian Air Force had already destroyed oil farms, refineries and most of all over 1,000 tanker trucks — and counting; imagine the prospect of losing all the oil flow, the money flow, a Smugglers Inc. scattered in the desert with no place to go. NATO command may be stand-up comic material — just watch Dr. Strangelove's Greatest Hits, as in Gen. Philip Breedlove and his "Russian aggression" meme. But the generals are not foolish. NATO won't go to war with Russia over a mere vassal. And Russia won't provide NATO with a pretext for war. In the Big Power Politics arena, certainly now we do have the post-modern return of the historic tension between the Russian and Ottoman empires. But that will play over time, slowly. The Russian direct response will be cold, calculated, extensive, swift — and most of all unexpected. No response would imply a carte blanche for "moderate rebels" to be weaponized in Syria ad infinitum. What's certain is that Russia will turbo-charge the bombing of all ISIS/ISIL/Daesh supply corridors from Turkey into northern Syria, as well as the stolen oil smuggling routes from northern Syria into Turkey. Russia can play with so many options to increase the pressure. For instance, S-300 and S-400 air defense systems covering the Turkish-Syrian border. That would be part of a Russian no-fly zone in Syria, approved by Damascus, for any jet daring to fly without explicit permission from the government. The Sultan wouldn't dare "violate" this airspace. And the whole thing is about to get hotter. Not only a Turkish mobster maze is aiding, abetting and profiting handsomely from doing business with ISIS/ISIL/Daesh and other exponents of Jihad Inc.; Ankara itself is in the extortion business. And the willing "victim" is — who else — Europe. German chancellor Angela Merkel had to go to Ankara to kiss the Sultan's feet so she may be able to "save" her refugee policy. Erdogan came up with the proverbial offer you can't refuse. You want me to hold the refugees here? Just give me 3 billion euros. Unfreeze Turkey's accession dossier to the EU (guess who's the top nation against it: France). And let me have my "safe zone" in the Turkish-Syria border. Incredible as it may seem, Europe gave in. The European Commission (EC) has just given Erdogan the 3 billion euros. He starts getting the cash on January 1, 2016. The official spin is these funds are part of the "efforts to solve the migrant crisis." European Commission First-Vice President Frans Timmermans glowingly framed the so-called Turkey Refugee Facility as "providing support to further improve the daily lives and socio-economic conditions of Syrians seeking refuge in Turkey." Don't expect the EC to monitor how the cash will vanish in the mobster maze — or will be used to further weaponize "moderate rebels". Erdogan does not give a damn about refugees. What he wants is his "safe zone", not in Turkey, but 35 km deep in northern Syria, out of bounds for the Syrian Arab Army (SAA), militias under Iranian command, Hezbollah forces and most of all the Russian Air Force. He wants his no-fly zone and he wants NATO to get it for him. Erdogan is on a mission from Allah — at least his version of Allah. The downing of the Su-24 is just the preamble. Get ready, because 2016 promises an even bigger bang.